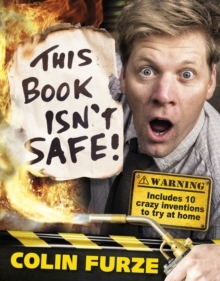 The first practical-inventions book for children by YouTuber Colin Furze. Colin is on a mission to inspire a new generation of budding inventors to be creative and make things! This Book Isn't Safe! contains ten awesome inventions for girls, boys and parents everywhere to make at home with a basic tool kit.